The University of California San Diego has been honored with the 2018 Grid Edge Innovation Award for serving as an epicenter for research, development and commercialization on smart electric vehicle (EV) charging. 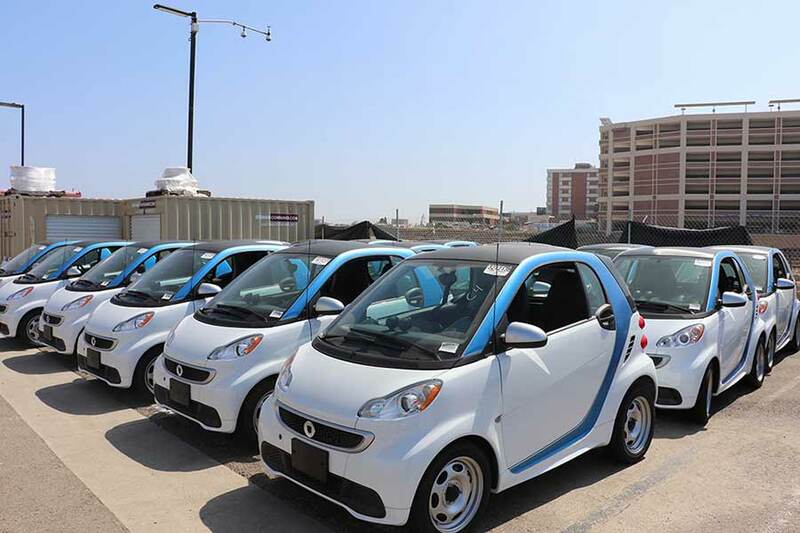 UC San Diego has collaborations with over 18 companies and organizations in providing 135 EV charging stations on campus. In May alone, more than 700 different EVs were charged by UC San Diego’s world-renowned microgrid. UC San Diego is the first university to receive a Grid Edge Innovation Award from Greentech Media, a leading information services company for technologies, markets and businesses shaping the future of the electricity sector. Representatives from the campus will officially accept the honor on June 21 at a ceremony in San Francisco, Calif. Collectively, UC San Diego charges over 700 unique EV drivers each month, which represents a monthly reduction in 5,400 gallons of avoided gasoline being used. The number of such drivers is expected to continue to climb, as UC San Diego experiences an annual growth rate of 120 percent in EV commuters to campus. A microgrid is a local energy grid with control capability, which means it can disconnect from the traditional grid and operate autonomously. UC San Diego has one of the country’s first and best-studied microgrids. It consists of two 13.5 MW gas turbines, one 3 MW steam turbine, a 2.8 MW fuel cell, a 2.2 MW solar-cell installation, 2.5 MW/5 MWH of battery electric storage and over eight million gallons of thermal energy storage. The success of the microgrid has propelled additional “green innovation” such as the EV charging which the campus began exploring as early as 2011. UC San Diego’s microgrid powers 85 percent of the 1,160 acres campus electricity needs, 95 percent of its heating, and 95 percent of its cooling. The reliability and resiliency of the grid has allowed the university to cuts costs, while mitigating carbon emissions. It is estimated at saving the campus about $850,000 a month, compared to buying retail energy. According to Greentech, this year’s winners represent the top projects involving the innovative applications of grid edge technologies, and they offer solutions to the technical, business and regulatory challenges of distributed energy integration. 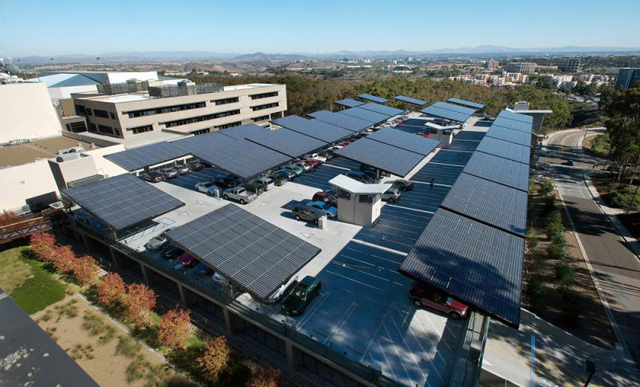 For more information on UC San Diego’s microgrid, click here.